A descriptive essay is an essay that you may be asked to write about a place, for example about a beach or a forest, about a person, a situation or adventure. You may be asked to describe anything; the main objective of descriptive essays is to test the ability of a writer to express themselves and explain their experiences. For you to be a pro in this kind of writing, you also have to be a good narrator because description goes hand in hand with narration. You should be able to describe every aspect surrounding your topic without discrimination. A good description should be able to bring the reader of your essay to the real happening of events. The reader should not question themselves or be left in suspense in a way; you should ensure that you exhaust your descriptions. Every point has to come out clearly in your writing. To come up with a good essay, you have to learn how to create a picture of what you are talking about in the reader’s mind. To achieve attracting the reader to your writing you have to understand how to apply the five senses to your writing. When you learn how to apply them well, then you are sure to satisfy your reader. For you to come up with a good descriptive essay, you should learn to encrypt a good thesis statement. Writing a thesis is important while starting a sample descriptive essay because it reflects what the essay is going to cover in the summary. Brainstorming is also important as it gives you the points for your body paragraphs. Like all other essays, a descriptive essay will need you to come up with a specific format to ensure quality content. The outline of a descriptive essay contains the segments that should be included in your essay writing. It is the structure of the essay that will guide you on how you should format your essay to meet the requirements. A descriptive essay can be divided into three parts, the introduction, the body and the conclusion. Start the introduction with suspense – you have to choose the right words in the introduction to capture the eye of the reader. To achieve this, you should apply phrases or even questions so that the reader can find the answers later in your essay. Define the scope of the essay – the thesis should be narrow for clarity purposes. Do not include an explanation of your thesis as it will mislead the reader on the major points, be short and clear in your points. Avoid common words (clichés) – you should be creative in the choice of words so that your thesis does not look common. Most writers would start their thesis with statements such as ‘This essay will talk about….’ Try to be unique in your thesis if you want to score highly. Create suspense in your thesis – you should make your thesis attract the reader to the body of your essay. Organize your paragraphs appropriately – the organization of your work is fundamental for the merit in essay writing. You have to place each idea into its paragraph. The length of the paragraphs should also be standard, do not make your paragraphs too short or too long. A body paragraph should constitute at most six sentences. Restate the thesis statement – this is just to remind the reader of what the essay was obliged to cover. After reminding them of the thesis support it with a summary of the points in the body paragraphs. You should state the main points briefly without much description as a support for the thesis. Your last parting shot with the reader should be intriguing so that they can leave thinking about your essay. After writing the conclusion, make a review of your essay by proofreading. The importance of reading through your paper is that it enables you to identify the mistakes and maintain a good tone throughout your work. 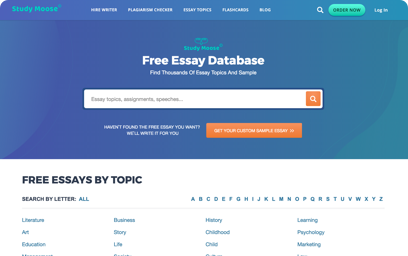 We have created a Free Plagiarism Checker for your convenience. Feel free to use it! Take time to brainstorm about the topic before starting. Brainstorming involves thinking about the topic and coming up with rough ideas to support your title. 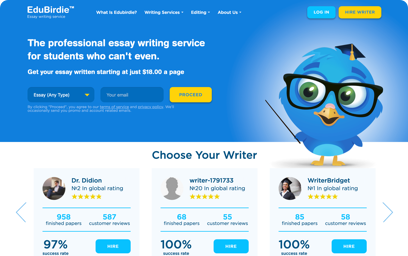 You should not think as you write the essay because points may not come out clearly. Just take your time and think as you jot down, in summary, the points in the topic on a piece of paper. The best way is creating a list of points before you proceed to the actual paper. Use your senses extensively – the only way that you can link with the reader is by use of senses. There are five common senses that you should use in your descriptions to bring the reader the real picture of the scene or person you are describing. You should be able to engage the reader in your work by the use of senses. You should give a testimony about the scene, how you felt about the situation and what you think about the happenings, too. A rhetorical question can also be a good way of making the reader engaged in your work. Choose right words for your descriptions – you should choose words that imply the situation or person described to avoid misleading. You have to equip yourself with an extensive vocabulary to explain different feelings lest you have loose essay imagery. Good organization of your work – you should be able to plan your work, to avoid the mix up of emotions. The reader might be confused when you do not attach appropriate emotions to the description you are giving. 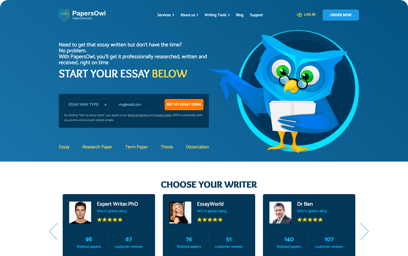 There are many descriptive essay topics that you may be examined on as a writer. You should be ready to handle any of them. It is good to get exposed to different topics as it gives you the experience and prowess in writing. Most of the descriptive essays are usually about events and ceremonies. You may be asked to write about an event that was held somewhere at a particular time of the year. In this case, you should explain the events as one of the attendees for the situation. Choosing a good topic for your essay is important. It should be attractive to those intending to read your text. In such as essay, in the introduction you should share a memory about the teacher that makes you adore him/her. From that, the reader would be able to ask themselves more about the described person, and they would anticipate for the body. In the body, you can give the attributes of the teacher and support your claims with relevant illustrations. In conclusion, summarize the main attributes and give a reason that makes that teacher the best. Making an outline before jumping into writing a research paper helps you to structure your thoughts and ideas. See our helpful guide on how to make an outline. It is good to go through various examples of descriptive essays to advance in writing techniques. As a writer, you should read many samples so that you can get exposed to good ideas and style of other authors. Going through various samples can enable you to note the mistakes of other authors and correct the same when you get to your own. Due to the advancement of technology, you can easily get access to these examples from different resources online. Some of the common resources that may contain descriptive essay examples are articles, journals, and magazines. Most of the stories in the magazines constitute a lot of description, and by going through them, you will be able to acquire the right words to use for your description.